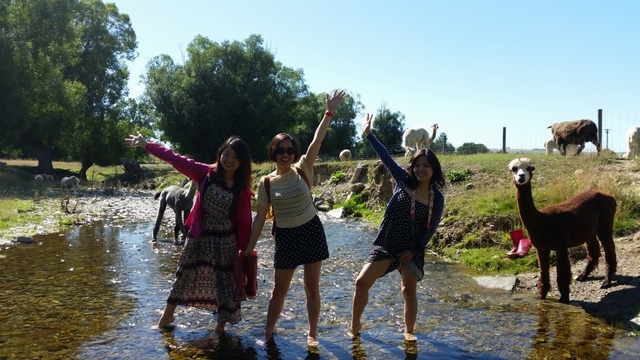 Tourists having a cool down in the clear water after their farm visit. Use this button to safely and securely book your group in for a farm visit. (weather permitting) from 18 Nixons Road, Fairlie. If you do not want to pre-book using the booking button above then please phone us ahead of time on 03 685 8689 during opening hours 9 am to 5 pm so we know to expect you. 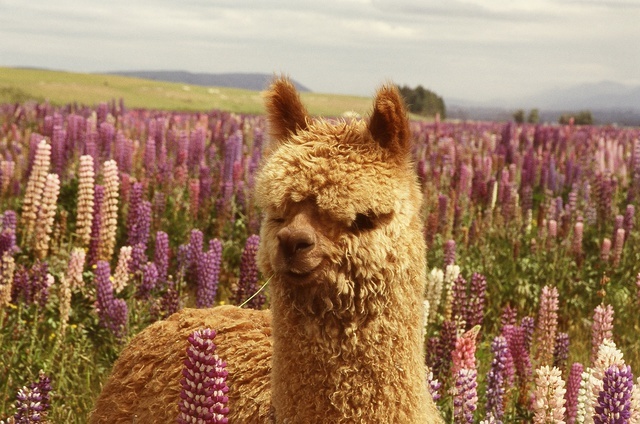 We are perfectly placed on the Main Highway from Christchurch to Queenstown for your 1 hour stop over to come and spend time with our Alpaca, Llama and friendly sheep. Great photo opportunities and any questions answered. We give you some good basic information on these wonderful animals. We do not have public toilets on site. Please use the facilities in the township before arrival. 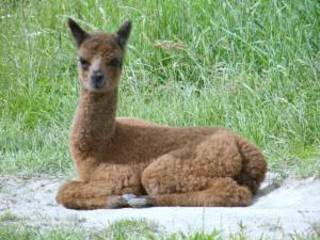 We, La Mothe Holdings Limited T/A Gem Alpacas (“the Operator”) appreciate your custom and aspire to provide a friendly, safe and memorable experience. By entering Gem Alpacas, you, the visitor accept the following terms and conditions. The name of the business that will appear on your bank / credit card statement will be The Paca Shack. Your account will be charged in New Zealand dollars. - Walking surfaces; and any other non-specified hazards, aspects, features or elements of Gem Alpacas. - Any other loss, harm, damage or suffering. In the event that liability of any kind is attributed to the Operator, or its employees, such liability is limited to the amount paid for the ticket or admission to Gem Alpacas by the person to whom the Operator is liable. The Operator reserves the absolute right to cancel any service or activity or part of such at Gem Alpacas due to weather conditions. The Operator will use its reasonable endeavours not to do this, but in the event that it is required the Operator shall have no liability to any party. The Operator will process a 100% refund if cancellation is due to weather conditions. Children visiting Gem Alpacas must, at all times, be supervised by a responsible adult at a ratio of not more than 3 children to each such responsible supervisor. 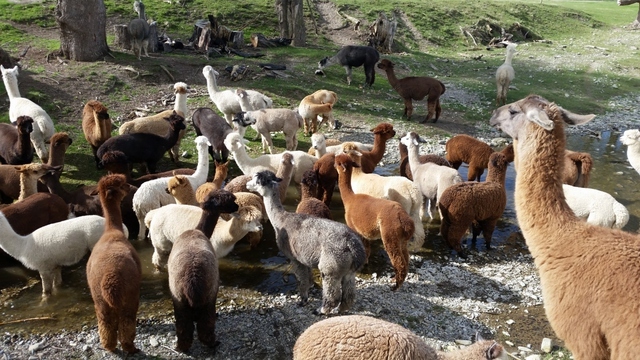 You must not bring pets or any other animals to Gem Alpacas. You may only smoke in the designated smoking areas. The Operator reserves the right to deny access to or to remove from Gem Alpacas any person or persons (whether holding tickets or not) who are considered to be or have the potential to be a nuisance or reckless, or disruptive or who are or are likely to fail to observe Gem Alpacas directions (either signage or by staff). In such circumstances no refunds will be given. 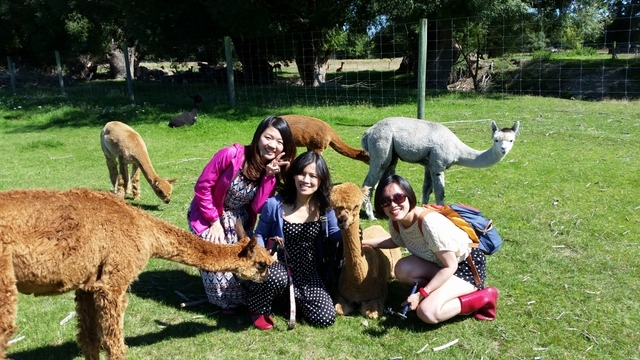 Any recording, whether visual, audio or both taken by you during your visit to Gem Alpacas must be for personal use only. Any other use, including any commercial use without the express written permission of the Operator is strictly prohibited. 10. Car parking is provided for campervans and private vehicles during their farm visits. NO overnight camping is permitted The Operator accepts no liability for any damage to any vehicles parked in or otherwise using the car parking area. Security Cameras operate 24 hours a day. 11. You agree that the laws of New Zealand apply exclusively to these terms and conditions and that the Courts of New Zealand have exclusive jurisdiction over them. You agree not to commence any Court action in any other jurisdiction in relation to these terms and conditions and to indemnify the Operator against any costs incurred in respect of your breaching this clause and these terms and conditions.